In March 2016, Delhi was the setting for a powerful session of poetry reading in the original Arabic as well as in English translation by two generations of Palestinian poets. The great Palestinian poet and memoirist Mourid al-Barghouti, and his son and probably the most acclaimed Arab poet of his generation, Tamim al-Barghouti, delighted, dazzled and moved the audience with their julgalbandhi of poems. The English translations of the poems were by the late Egyptian novelist Radwa Ashour and the award-winning Egyptian writer and political commentator Ahdaf Soueif, who also chaired the session. The poetry reading was part of an event, Palestine in India, organised by the feminist publishing house Women Unlimited, Delhi. 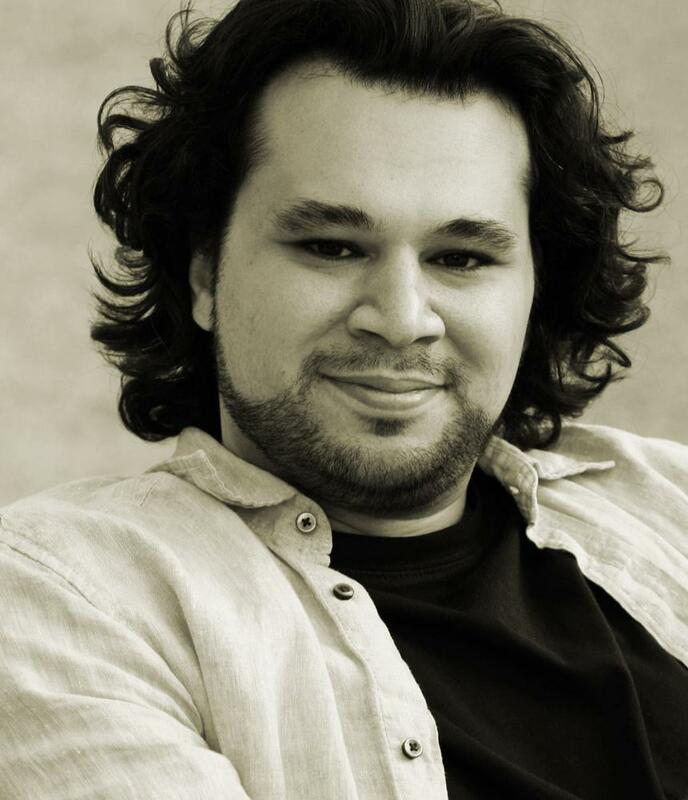 In an interview with the Indian Cultural Forum, Barghouti spoke about poetry as a form of resistance. Its aesthetic perfection is an answer to injustice, refusing to be a failure, refusing to be ugly, refusing to be what the occupier sees you as, says Barghouti. The optimism that runs through the following poem with the understated but potent refrain “I have no problem”, defies the oppression and suffering imposed by powerful forces. Click here to listen to Mourid Barghouti recite the translation at the end of his interview on the Indian Cultural Forum site. Read the Arabic original here. were turned back by the enemy’s law and the enemy’s wall. what will you see in Jerusalem if you visit? when her houses start appearing on your path. How dangerous then is that very joy. You’ll see nothing else wherever you look. thinks of going on holiday or painting his house. to teach young men from Poland how to read it. next to a woman who sells mint on the streets each day. In Jerusalem, there are walls of basil. In Jerusalem, there are barricades of concrete. In Jerusalem, booted soldiers march on clouds. In Jerusalem, we pray on the asphalt. In Jerusalem there’s whoever’s in Jerusalem – except for you. the main text while you’re a footnote and a margin. the thick veil of her present, that you might see there what you wish? In Jerusalem there’s every man except you. and you’ve raced in pursuit since she glanced goodbye. Go gentle on yourself – I see you fading. Ask the people there, everyone will tell you. has a tongue which, when you ask, will speak. over the years they’ve become father and sons. In Jerusalem the stones of buildings quote Bible and Quran. if time were harsh to her moons. hold morning’s hand to show him how to paint with colour. the Compassionate’s windows he lights by their rules. miracles here are handled, put to use. declares independence in the air between two bullets. are lines of the city’s history, her dust the book. for Jerusalem takes in the faithful and the faithless. they were the margins of the book, now they’re the text. Oh History, how come you’ve excluded us? Is it just for us that the city’s become too small? For I see you’re in mortal error. The eyes close, then look again. And now Jerusalem is behind us. I see her in the right wing-mirror. Her colours change in the sun, and disappear. “Oh you who weep behind the wall, are you a fool? Let your eye not weep, you who’ve been dropped from the text. Translated by Ahdaf Soueif and Radwa Ashour, September 2010. Hear the original Arabic here, read by Tamim Barghouti. 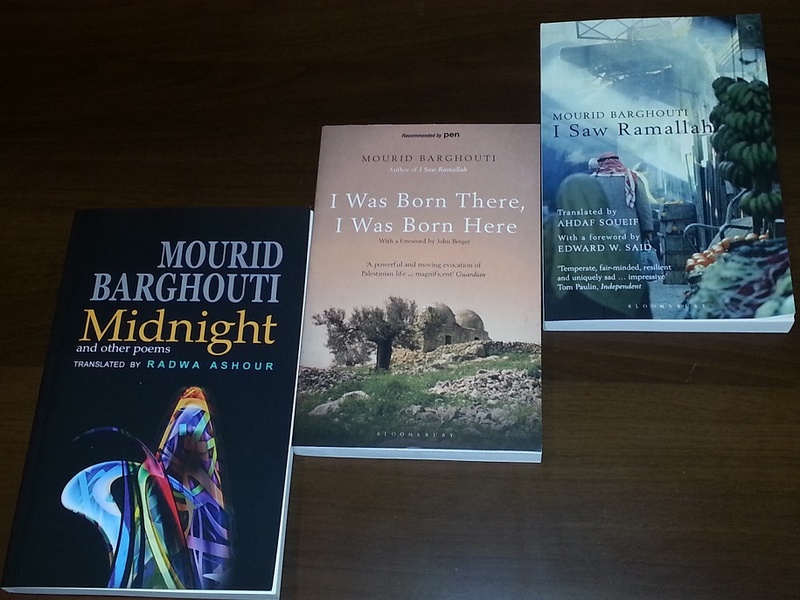 Note: The two poems by Mourid Barghouti are translated from Arabic by Radwa Ashour. The poems are from Midnight and Other Poems, ARC publications, Lancashire, 2009. First published as Muntasaf al-Layl, Riad El Rayyes Books, Lebanon, 2005. We thank Ahdaf Soueif for her help with the originals of the translations, and acknowledge Women Unlimited for their Delhi event Palestine in India where these poems were read. © Mourid al-Barghouti and Tamim al-Barghouti for their respective poems; © translations of Mourid al-Barghouti poems, Radwa Ashour; © translation of Tamim al-Barghouti’s poem, Ahdaf Soueif and Radwa Ashour.